There should be some logical reason behind for all our ancestor's habits. None of them superstition. All the rituals followed in hair cut to an oath of office contains life philosophies. Those philosophies not only teaching as good things about how to live. It also tells us the way to live the healthy life. Having Paan often also good for health. 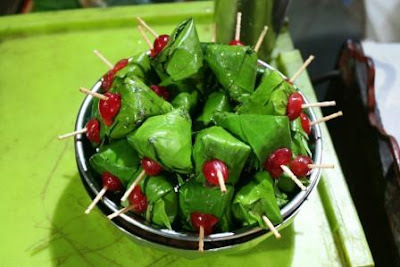 The fact is many of the people who takes paan frequently do not know this. In general, mixing betel leaves, areca nut, and lime in equal ratio and eating will make body and brain very active. It will strengthen the heart. Why human body gets diseases? Siddha and Ayurveda medicine answering this question. It said that when Rheumatic, Bile, and Kapa exceeded or lagging in the body, we get diseases. That's right. While these three factors equal ratio in the body, it will not get diseases. Also, the body will have enough immune system. Paan is helping to keep these three factors in equal ratio. Arecanut from paan controls the bile. Lime from the paan controls Rheumatic. Spice from Betal leaf removes Kapa diseases. So, a habit of having paan will keep balance rheumatic, bile and Kapa in equal ratio. Also, cardamon , cloves and mace from paan will kill germs from the mouth. It will empower the digestion system. So there are so many good things included by having paan. That's why it plays a key role in our banquets. The problems start when having paan along with Tobacco. There is no tobacco added in our ancestor's paan habit. The evil practice of adding tobacco has been started in between. Nowadays the biggest problem of older people is the bone fracture. Even small fracture causes the bigger health problems due to their old age. Sometimes, small fracture will give death as a gift. But, 10, 20 years back, the fracture was rare. The reason behind is, they had a habit of eating paan. A certain amount of calcium nutrient from lime added in the paan directly strengthen the bones. Our ancestors defined certain rules for eating paan. Arecanut should be more in the paan when we have after breakfast. Because when the climate become hot in the afternoon, it restricts the bile creation. After lunch calcium should be more. This will prevent Rheumatic and gastric issues. At night betel leaf should be more. It will help to avoid Kapa. * * * When violating these rules, the problems occur* Spread this information to others get benefitted. Pomfret or Vavval(Tamil) is the one of most available fish from the market. It is the best one for making the Shallow Fry. Spicy Fish fry is ultimate combination with Rasam rice. Its buttery and melts in the mouth. Let's try to make this fry. Clean and Wash the pomfret fish thoroughly. Then cut the fish into two pieces. Wash the fish using one teaspoon of turmeric powder. Add all the ingredients except fish and oil in a bowl and make a thick masala batter. Squeeze lemon juice into the batter and stir it. Run knife on fish pieces to make gashes. Apply masala batter on the fish pieces and make sure masala goes inside gashes. Marinate the fish for at least 20 minutes. Heat oil in a pan. Once oil hot, start shallow fry the marinated fish. After 5 minutes, turn the fish into other side and fry it for 5 minutes. Do shallow fry for all the pieces. Now the tasty and crispy fish fry is ready to serve. Egg yolk Good? Or Bad? We would have followed certain things in our life. Similarly, Egg yolk is one of the food which we used to discard without knowing why? And For what? People who discard egg yolk because of cholesterol should know that there are two types of cholesterol. Those are LDL (low-density lipoprotein) and HDL (high-density lipoprotein). Among these, LDL is Bad cholesterol and it is not good for health. Nutrients: Egg yolk has more vitamins and Minerals. Minerals: Calcium, Iron, Phosphorus, Zinc. 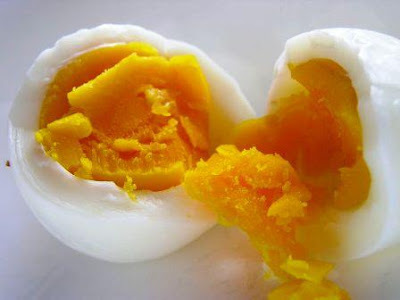 Cholesterol: It is true that there is cholesterol in the egg yolk. But, our body should need some cholesterol for growing cell membranes and for secretion of hormones. Also, Our body gets HDL cholesterol from egg yolk which is good for health. Healthy Brain: Anti-oxidant available in egg yolk helps to have healthy body and brain. Weekly two to three eggs (with yolk) will definitely help for maintaining a healthy body and prevent us from the diseases. Doctors and research results also advised that egg yolk will lead to healthy life. It will cause problems when consuming more without proper workouts. Only Processed foods, artificial foods, LDL fatty foods are harmful to the body. So, don't ignore egg yolks by the word “Cholesterol”. Do you know why 1kg of broiler chicken on sale for Rs180 nowadays? Broiler chicken is an artificial bird which loses liver, arteries, lung after 55 days of birth. This is the meat we are eating in our regular diet in the name of “Halal”. Think about this Friends!!! In few days, there would be troubles for selling the chicken because of its unhealthy. So, there will be a chance of 40Rs price down for a kg. To compensate and balance, chicken companies are increasing the price to 180Rs. So that, the price will be balanced again at 120Rs while 40Rs down. Most of Namakkal district people from Tamilnadu impacted by cancer disease since huge consumption of broiler Chicken. But, the owners of poultry farms and politicians keep seeing this situation as the business point of view and they prevent spreading information on this matter to people. Though Namakkal HEALTH CARE ORGANIZATION took steps to spread information and make awareness to people, they only able to provide this news in a weekly magazine. 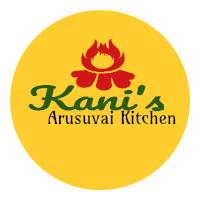 To meet 7 tastes of the body, our traditional people defined 6 tastes (sweet, sour, salty, bitter, pungent, astringent) and these are followed in all 5 types of geographical landscapes (Kurinchi – mountainous regions, Mullai – Forests, Marutham – Cropland, Neydhal – Seashore, Palai – desert). Our ancestors had different meat in their daily diet like goat, lamb, beef, chicken, quail, partridge,etc..).Many Sangam literature telling about the Warrior eating the raw meat and its blood during the war. In Today's life, there are two different opinions about eating non-veg. First one is, we will gain weight. We can't think efficient using brain. So being vegetarian is the best. The second one is, vegetable and fruits do not matter for whom being non-vegetarian? Which one is correct among these two? The truth is being in between. It is an insulting statement if we say that eating non-veg reduce brain function. 99% of Nobel laureates , Microsoft, Apple company owners are non-vegetarian. Compared to meat, vegetable and fruit having less protein, micronutrients. For Example, 100gm liver has 6000 microgram iron nutrient. 100gram carrot has just 300g iron. So non-veg enough to survive? No. How to consume non-veg and how much need to consume is the matter. Because it won't be suitable for the normal person going in a car when compared to the Champ going to war. From that day to today, the quantity of food eating by fisherman can't be suitable to the software engineer who is ordering the fish fry in the AC restaurant under the candle light. Always working level and living style are taking an important role to decide the quantity of food. So we can eat non-veg. But, it should be some limit. A five-member family can eat 1/2 kg of goat/lamb or 1 kg of chicken or 1 kg of fish per week. Even it will be better if we split them twice per week. We can eat vegetables and fruits on other days. Do fasting once per week. Our ancestors had just horse gram soup and rice along with Ginger chutney whenever they had meat in the prior day. They aware that goat meat will have more fat and give energy to the body. At the same time, they aware that horse gram and ginger will dissolve fat. Do we aware anything like this? No. Tamil medicine saying that to include ginger, garlic, cumin, coriander, asafoetida/hing whenever taking non-veg. Till this day, No meat will cook in any south Indian kitchen without these spices. But, today there are many foreign restaurants arrived corner to corner and selling fried chicken. But, we can't see these spices on them. Are you having non-veg in the AC restaurant? Do you know what all are the ingredients added in that? Hundreds of Chemical factors and chemical salts added in them. Specifically, Cancer causing agents like sodium nitrate, Monosodium salts glutamate are added. Chicken is very good food. But, it should be naturally grown(Country chicken or organic). It should not be grown by injection. 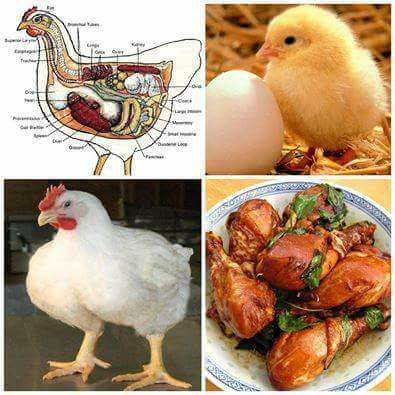 Generally, Chicken will make the body warm and avoid diseases. It will remove cold, cough,etc.. Siddha medicine saying that chicken will increase libido. Modern food science saying that chicken is rich in fiber, B12. It won't increase body weight. Chicken is the best food to being healthy and strong. There is a country chicken called Black fowl. This chicken meat will be Carmine in color. Siddha medicine keeps advising that this meat is the best medicine for the people having muscle week and other muscle related diseases. Injection “Roxarsone” given to broiler chicken to increase the flush and weight. But, America's Duquesne University confirmed that this is cancer causing agent for the human. Problems like small girls get early Pubertal, decreasing of libido for men will happen to whom eating this injected chicken and this chicken laid eggs. So friends, be aware and think what we need to eat. If you feed fish for your kids from 2 years weekly twice or thrice, he/she never gets visual problems life long. Health benefits are more in fish. Particularly salmon fish. Even for adults and older people it is good and they never gets arthritis issues because of omega-3 availabe in it. Let's make fish curry now. Wash the fish thoroughly and make into small pieces. Then add 1 teaspoon of chilli powder, ½ teaspoon of turmeric powder and 1 teaspoon of salt with fish pieces and mix it all together. Marinate this for 20 mins. Cut the tomatos and make into puree in a mixer grinder. Heat 40 ml of oil in a pan. Once oil hot add mustard seeds, fenugreek seeds, cumin seeds and urad dal. Once mustard starts spluttering, add add chopped onion and garlic and green chilli. Once onion gets translucent add tomato puree and stir it. Cook this for 5 minutes. Add 2 teaspoon of red chilli powder and coriander powder and stir it. Close the lid and cook for 2 minutes. Add tamarind extract. Then Add water as per your consistency. Bring to boil and cook for 10 minutes in medium flame. Finally add marinated fish fillets and cook for another 15 minutes. Now fish curry is ready to serve.